Senators’ Offseason: Just Another Summer! Our resident Sens fanatic, Al Willig, takes a look at the Senators off-season. Can Bobby Ryan fit in on the top line and be a playoff difference maker? Will the Senators be a playoff team in the new alignment? Who takes over the captaincy? Which of the young players take significant steps forward? Does the messy loss of an Ottawa icon hurt the Senators? What is Bryan Murray thinking? Is Mayo better than Miracle Whip? The lead-in was rather tongue in cheek. 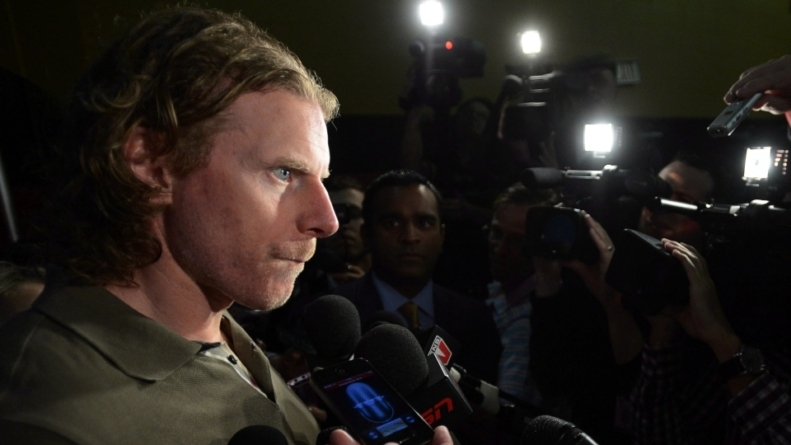 Long-time captain and stalwart, Daniel Alfredsson signed with the Detroit Red Wings. 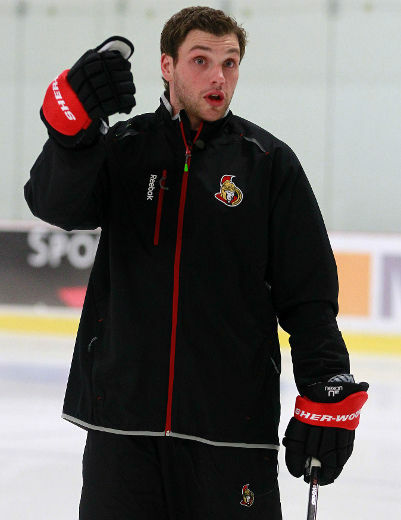 Bobby Ryan was brought in the next day with Jakub Silfverberg, Stefan Noesen and a 1st rounder in 2014 going the other way. 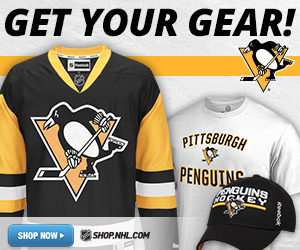 Sergei Gonchar was sent packing to Dallas. Clarke MacArthur was brought in, for what reason I do not know and Jared Cowen is yet to be signed although there appears to be a framework in place for that transaction to be consummated. I will address the questions in no particular order. I was among the depressed. It damn near ruined my camping vacation except the bugs had already done that. In retrospect, every sign was there for people who were willing to see them (read: not me or any other Senators’ fan): no extension for Alfie during a season in which he was making $1 million; Alfie picking the puck out of the net after scoring in what he saw as his final home game in Ottawa; former Senators’ employee and current Bruins’ GM saying prior to the free agency signing period that he would be not at all surprised to see Alfie signing elsewhere (should have maybe put the pieces together after that, no?). It all added up to Alfie turning on the only club he had ever known. In defense of Senators’ fans in general (and me, specifically), the public perception for three years was that Alfredsson was never sure if he would play one more season. 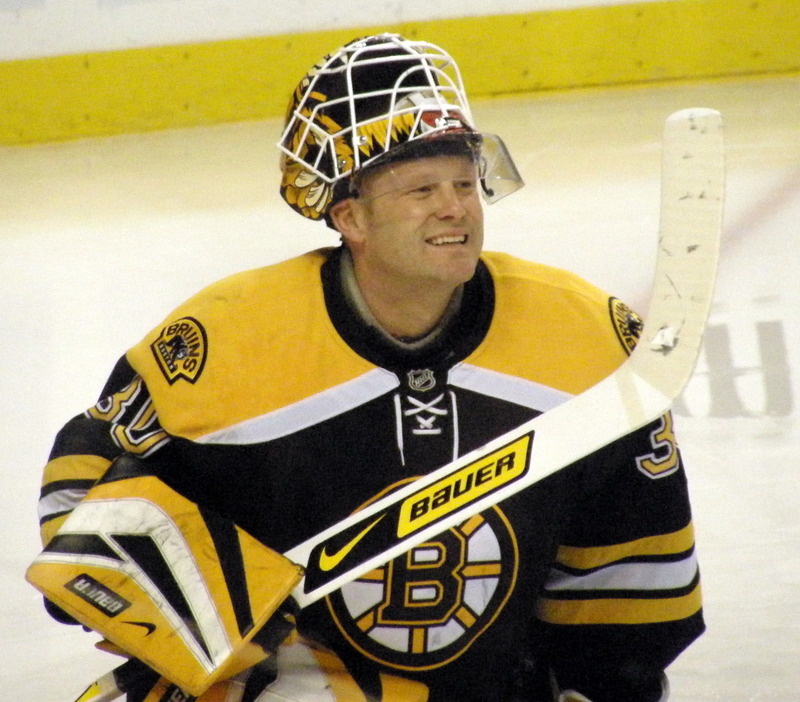 He had been talking possible retirement for a while and the lockout made that all the more possible. However, there is every reason to think GM Bryan Murray and owner Eugene Melnyk (there’s no reason to separate them since Melnyk holds the purse strings and it is clear the Senators will not be spending to the cap in the near future, so I will just use “Murray” as the surrogate for the tandem from here on out) knew of Alfie’s desire for an extension. In not giving Alfredsson the extension at his terms, Murray had to have been banking on the Alfie’s loyalty to the only jersey he had worn and his connections to the community. He further banked on that presumption with what would seem to be a reasonable offer for a 41 year old coming off a season in which he had put up points at just over a half point/game; although he was a point/game in the playoffs. What Murray did not bank on was Alfredsson’s feeling that he had sacrificed salary for the team over the past 10 years and that he felt he was now due some recompense. That miscalculation by Murray is more mystifying than Senators’ fans not seeing the writing on the wall simply because he was involved in a way that we could not possibly be involved. Murray was also banking that this would be a negotiation of sorts, but when it comes to free agents that is rarely how it works; teams are expected to put their best foot forward and the player chooses from the best offer and situation for them, as they see it. This was a further miscalculation by Murray. Alfredsson, for his part in this, has thrown away a lot. He will still be revered by a segment of the Senators’ public, but his legacy is tarnished. 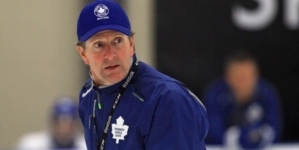 For $1 million dollars more in salary and the chance to make a point to Murray, he has thrown away the complete admiration of a fan base and the chance for a cushy front office job in Ottawa where his family was settled and happy. I suspect his jersey will be retired eventually, but that is small consolation for a 16 year career and the other inevitabilities had he stayed. In short, it is hard to applaud either side in this fiasco although I have forgiven both. I love Alfie and I love the Senators and never the twain shall meet. I recognize that this is a difficult combination to find and that, to me, is what makes being a great NHL captain, truly special. For the record, I do not believe that anyone under the age of 25 should be an NHL captain. 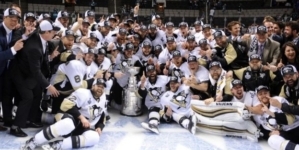 Toews, Crosby, and especially, Landeskog, were handed the reins far too soon, in my opinion. I truly believe that life experience is a large part of being a truly effective NHL captain. If you ask anyone who played with Mark Messier what made him a great captain, they will tell you that it was that he took the time to get to know his teammates off the ice and was there for them when “life” crept in. I cannot even imagine PA Parenteau going to Landeskog with a “life” type issue. Gabriel may have all the on-ice leadership qualities you want in a player, but until he has made a few more laps around the sun and has dealt with a tough break-up, bankruptcy, agent who screws with him (name your difficulty), he is not going to be of much use to his teammates with off-ice issues. And that part of the argument does not diminish the on-ice experience it takes to be truly effective. Let’s face it; there is no substitute for experience. Chris Phillips: He’s the longest tenured Senator. He plays and practices hard. He has worn the A for a long time. He has gone to the child’s birthday party even when he knew the dad was not going to be coming back to the team. That kind of thing goes a long way, but is it enough? For a short-term solution, it may not be a bad choice. He is level-headed and respected but he is not a man who is followed by other men; it is a far cry from ideal. Jason Spezza: He is the most gifted forward. He has been with the team for 12 years. He has not been a defensive problem for quite some time, much as some people want to paint him in that light. He makes other players better (I am sure Dany Heatley would agree) He is a lightning rod for fans with his ill-timed turnovers. He has a giggle problem. There is some concern that if he does not get the C, he will be tempted to explore his options when his contract is up, but if that is his ultimate position, he should not be considered for the Captaincy at all. Certainly, he has not said as much so it remains to be seen if he will be tempted to test free agency when his contract is up. If he is given the C and resigns, we may never know. If he is not given the C, we will know soon enough but again, he is not the ideal candidate. 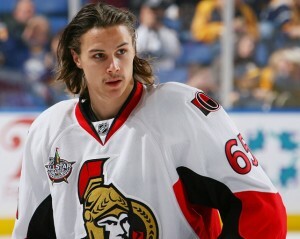 Erik Karlsson: Too young. He has all the talent in the world but in some ways, he is still figuring out the game. 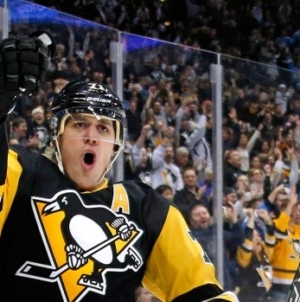 There is no doubt he has made tremendous strides, but I would not say he is a complete player and for all his other wonderful attributes, getting knocked around in front of the net does not inspire the kind of respect that calls for the C. Add in the “laps around the sun” argument and he is far from ideal. The Others: Chris Neil has tenure and the respect of the room but he plays 3rd line time and while an effective hockey player, I would not characterize him as “good”. Marc Methot has earned respect with his play but has 1 year with the club and the jury is out on his influence in the room. No one else has the pedigree or tenure to warrant conversation. At this point, there is not a single player on the team that screams “CAPTAIN” to me. If the team is thinking long-term, Spezza is probably the choice with a nod to Karlsson. If they are thinking a shorter-term “bridge Captain” then Phillips is the choice. I would not like to lose Spezza over this decision as he is a top-end talent but leadership is nearly as important as talent in the scheme of things. I would prefer the team going with three Assistant Captains this year to see if an obvious choice presents itself down the road. If not, the team is in the same situation next year and not really any better or worse off than they are currently. I was not and am not a big fan of this trade simply because I do not believe Bobby Ryan will be a Senator 2 years from now. Giving up three substantial players (Silfverberg, Noesen and a 1st round pick) is a lot for what might amount to not much more than a rental. It is fairly well known in hockey circles that Ryan would like to be in Philadelphia. Given the situation, I think any two of the pieces going to the Ducks should have been sufficient. Silfverberg still has some growing to do and he needs to adjust his game to be more of a net presence but his skills are tantalizing. 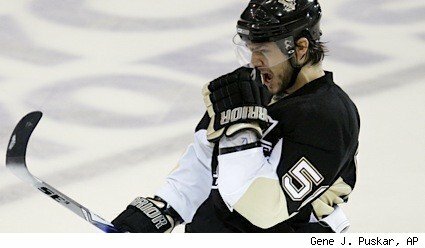 Noesen probably tops out as a 2nd line forward but his grit and skill could make him a very effective 3rd liner. The 1st round pick is a 1st round pick; they do not change hands often for very good reason. If Ryan meshes with Spezza and scores 35 goals and then resigns with the Senators, all is mostly well and I will re-evaluate. 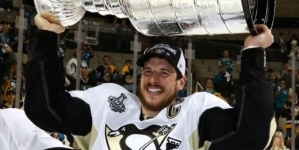 However, I have some doubts as to whether Ryan is the type of player who will help you win a Cup. He has offensive skill that does not grow on trees, but from a commitment standpoint, I have some serious doubts and the manner in which he handled the trade rumors over the past two years does not inspire. The Senators are a playoff team in the new alignment. 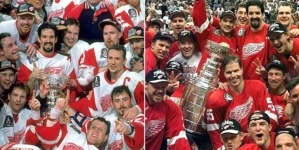 The garbage about Detroit having a better chance at the Cup is simply that. Ottawa and Detroit are in similar positions; neither team is a serious Cup contender this year but they should both make the playoffs. There are too many question marks for both clubs in terms of maturity at key positions to consider them serious Cup contenders. Either could surprise, but that is exactly what it would be. It is a huge generalization but if you grew up rural, it is Miracle Whip; if you grew up urban, it is Mayo. Jared Cowen laid an egg defensively in the playoffs against Pittsburgh. Blame it on the long layoff and recovery from surgery but he has some questions to answer and I believe he will answer them in the affirmative. Mika Zibanejad was effective for a first year player but needs to continue to grow into the power forward he can become. He has the skills and instinct, he just needs to grow into the attitude. Senators faithful were ecstatic about the play of JG Pageau but I have my doubts as to whether he can ever be an answer to any serious question. As a player of limited size (the nice way of putting it), you need to have elite skills to be a contributor in the top six forwards. I do not believe Pageau fits that description; not for a club with greater ambition. 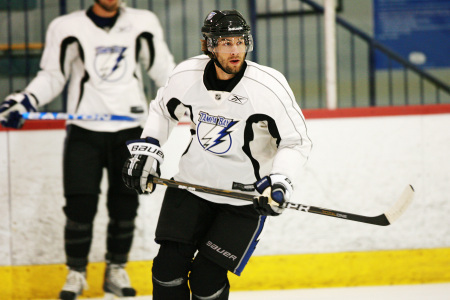 Cory Conacher has a similar stature to Pageua and more skills but he did not immediately mesh with the club as he did playing with Stamkos in Tampa. Both players are likely short-term answers to roster positions that will be filled by more suitable prospects as they mature; Matt Puempel being the most likely to slot in down the road. Mark Stone has a snipers eye and hands but his skating remains an issue. Cody Ceci had a very up and down year on the blue line. On the bright side, the up came at the end of the year while playing with Binghamton. He is a very good example of a player for whom both the concerns and optimism for his development are well founded. Robin Lehner is only an Anderson falter or chicken carving away from full-time duty in goal and that alone is a reason to be hopeful for the future. Lehner is the real deal and I suspect we will have that reinforced soon enough. 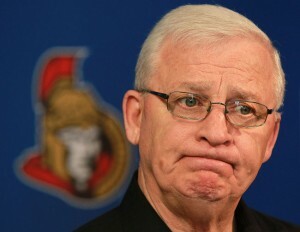 I have generally been a supporter of Bryan Murray. I have not liked everything he has done; re-signing Kuba for 3 years at $3.7 million being a prime example and trading for Craig Anderson and signing him for 3 additional years being another. It certainly looks like I could be wrong about Anderson, but we have yet to see a body of work from Andy that truly suggests he is an answer in net. Inconsistency and a bad attitude have been his calling cards in the past. I would argue that both are still in question. He can answer the consistency question with a good campaign this year, but the attitude question will hang until he faces the possible adversity of Lehner taking time. At that point, it is unlikely to matter so long as Lehner is as advertised. Generally, Murray’s moves have made some sense to me. He, and his scouting staff, has been key in the rebuilding of the organizational depth that took such a tragic hit in the Muckler era. When he drafted Erik Karlsson in the first round, I scratched my head a bit but acquiesced in blind trust. However, I will admit that I was not impressed with his work in the 1st round this year. I have little against Curtis Lazar; he was a safe pick. He will likely be a very good 3rd line player and every team needs those but they are much easier to come by than difference makers in the top six. If he develops into Patrice Bergeron, I will sit facing the corner in a funny hat, but when two players in particular pass Lazar in effectiveness, I will not be at all surprised. Hunter Shinkaruk has a scorer’s instincts and skills. He has sublime offensive talent that does not come along that often and certainly not at the 17th pick in the 1st round. He has some defensive deficiencies that Lazar does not but it is far easier to teach defense than offense and the Senators have a coach who can get that from his players. A lot of teams passed on Shinkaruk, so Murray was not alone in his concerns, but I believe there will be teams with egg on their face on this one; my team included. Aside from Shinkaruk, there was one other player that truly fit a need for the Senators and he is Kerby Rychel. Every Cup team has a power forward with grit and skill in their top six. That is what Rychel will be. He plays with an edge and scores from in close; exactly the type of player the Senators have been lacking. Add to all this that Murray was quoted as saying that he did not believe this draft was not all that deep; a draft I consider to be the best since 2003 (look it up) and my confidence in his judgment takes a bit of a hit. Draft day was almost as depressing as Alfie’s departure for me. I have hope for this season and the future. The Senators should finish in the fourth to sixth position in the conference this year. Given the goaltending tandem, they should be a stingy team and with the offensive weapons joining the lineup after last year’s injuries, they will score enough. The kid gloves are off. The Senators are not going to sneak up on anyone. Their performance last year with their most talented players on the side line was a bit of a wake-up call for the league and the experienced gained by some younger players was immeasurable. It should be a fun year. This author has not added a biography. Meanwhile Al_Willig has contributed 5 posts. Click here	to view them.